As if that wasn’t enough to convince you to try some of these out, these snacks are also generally incredibly cheap, especially in China, for those of us living under a tight budget. 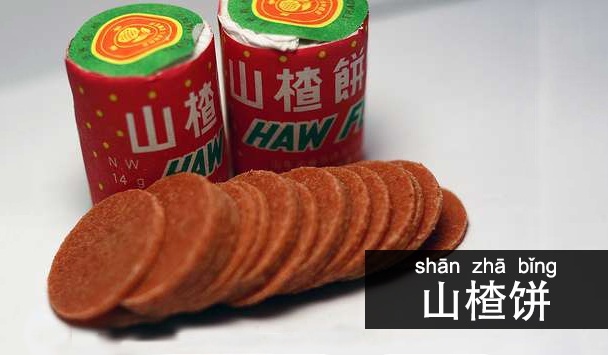 We polled ourChinese tutors for some of their favorite snacks when growing up. For those that grew up elsewhere, here’s a starter list of Chinese snacks that you should try if you're in China, or if you’re shopping at a local Chinese market! 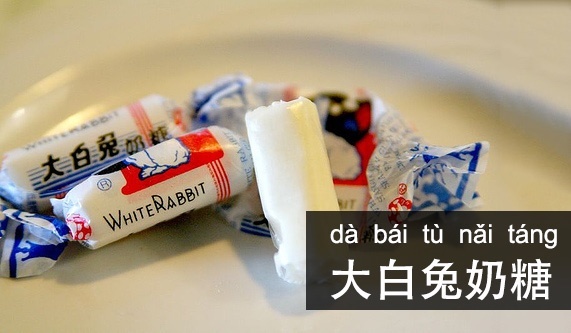 One of the most ubiquitous candies in China, almost every Chinese kid has munched on them at some point. Chinese grandparents often have a supply specifically to give to their grandchildren. Don’t try to take off the rice-wrapping layer around the main body of the candy because it’s supposed to be eaten with the candy and completely edible! It may be tough to chew at first, but if you keep chewing at this small cylindrically shaped candy your mouth will quickly be filled with the taste of vanilla. Warning: This nougat-like candy can become incredibly sticky in your teeth, so make sure to keep water handy while you’re eating these, and brush your teeth thoroughly afterwards. 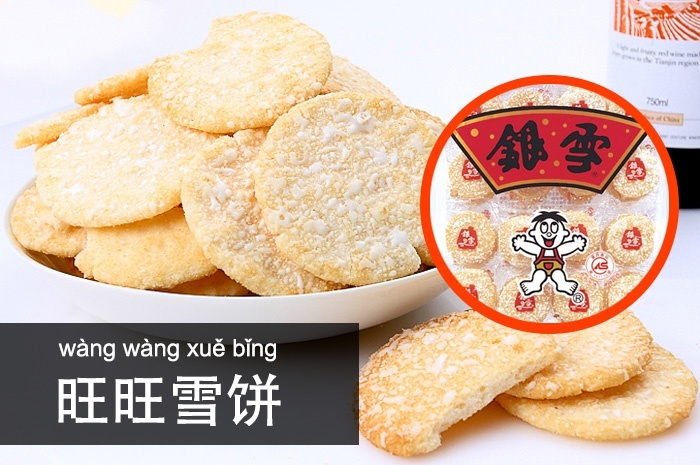 These disk-like biscuits fall into both sweet and savory categories, although it definitely tends more towards the sweet side due to the white coat of sugar on top. Each small package contains two cookies of roughly the same size. With your first bite the dominant taste is a bit savory as you bite immediately into the core of the biscuit and enjoy how crunchy it is. As you finish off the biscuit the taste of the sugar coating will start to kick in and tip the balance of the flavor over to sweet. Definitely the most addicting snack that has been covered so far since it is so easy to eat while having a distinctly unique taste that made childhoods. Warning: This is not the best snack to eat during a movie, as it makes quite a loud and decisive crunch in your mouth! 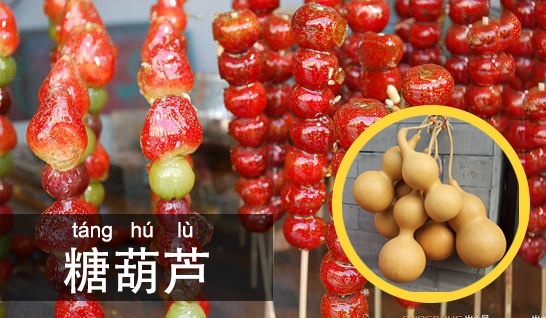 Tanghulu, also sometimes called 冰糖葫芦 (bīng táng hú lu) is a snack originating from Northern China consists mainly of multiple fruits covered with hard candy or syrup skewered on a bamboo stick. Typically the fruit is hawthorn, but recently vendors have chosen to diversify their tanghuluwith different fruits such as strawberries and banana as well as using different coatings like chocolate or sesame seeds. Again, similar to the haw flakes, the original Hawthorn Candied Fruit had a mostly sweet and slightly tart taste that lingers in your mouth. Unlike the haw flakes, these are big round pieces of hawthorn covered in syrup or candy so the taste definitely comes on stronger than it does for the haw flakes. Street vendors commonly sell tanghulu during autumn and winter in China. “糖葫芦” literally translates into “Candied bottle gourd,” because the shape of the snack looks like that of a Chinese gourd. This shape is thought to be very lucky in Chinese culture. 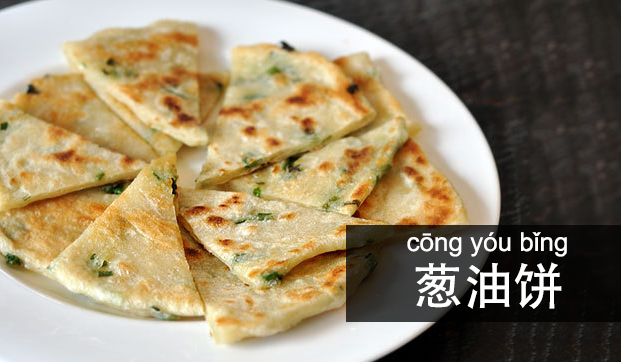 This post has been lacking in savory treats so the Pan Fried Chinese Pancakes is the perfect way to wrap up this list. The green onions flesh out the flavor perfectly while the moist and chewy texture makes for a perfect breakfast or brunch snack. These pancakes can be dipped in hot sour sauce or be used to create wraps like beef or chicken wraps that add to already savory flavor. This versatile snack is sold frozen in all Chinese markets, and is readily available at many Chinese restaurants! Although this obviously does not cover the incredible range of snacks that China offers, it is a start hopefully to becoming a more open-minded and worldly foodie! Let us know if you've tried any of these snacks. We'd love to hear your thoughts.